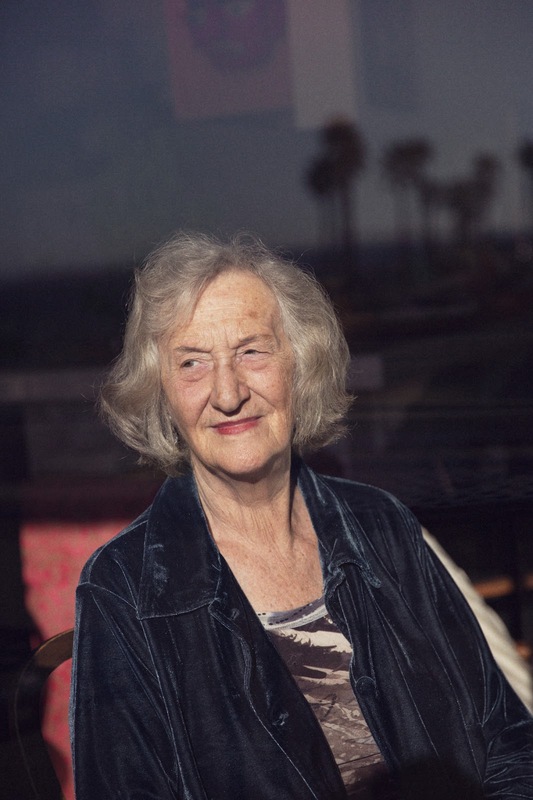 The Scottish-born, USA-based composer Thea Musgrave is celebrating her 90th birthday. There are musical events in many places, and last weekend she attended a concert in New York which celebrated the wide range of her music from recent choral pieces to excerpts from her operas. Thea studied music in Edinburgh in the 1950s, before going on to spend four years studying with Nadia Boulanger, not to mention a summer working with Aaron Copland at Tanglewood. I was lucky enough to be able to interview her by Skype last weekend to talk about her music and her career. With such a long career, and with so many works, I was interested to find out what were Thea's personal highlights. Her response was immediate, her opera Mary Queen of Scots. Thea points out that not only was Mary a woman but she received a lot of her education in France as did Thea, which Thea found good credentials for writing the opera. Mary Queen of Scots was premiered in 1977 by Scottish Opera at the Edinburgh International Festival with Thea conducting. (Thea adds as an aside that she was at the first Edinburgh Festival in 1947 and remembered the electric tram lines being decorated with flowers). After the work's premiere, the opera received its USA premiere in 1978 in Virginia with her husband, Peter Mark's Virginia Opera. 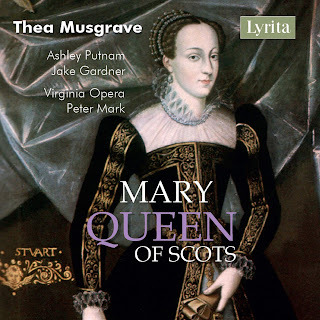 The live recording of this performance, with Ashley Putnam, was issued on disc, and Thea is pleased to note that the recording is available again on Lyrita [available from Amazon]. The opera was also performed in New York, and San Francisco (where Thea conducted it). Despite this, the opera does not seem to have received any recent performances and Thea feels that there is a need to get the opera-going again and is pleased that the live recording is now available. Another personal highlight for Thea is her Concerto for Orchestra which was written for the City of Birmingham Symphony Orchestra (CBSO) in 1967 (and premiered by them at the Royal Festival Hall in 1968 conducted by Hugo Rignold), and after the premiere, Thea conducted the USA premiere in Philadelphia. The idea for the piece arose out of a dream. During the 1960s Thea had just begun to conduct her own works and in the dream, she was facing the orchestra when one of the players defied her and she didn't know what to do. Afterwards, she laughed about the dream, but the next morning received the commission for the CBSO. So she wrote the Concerto for Orchestra where two-thirds of the way through the piece the clarinettist interrupts and entices others to play independent of the conductor. Thea came to refer to this type of piece as Dramatic Abstract, abstract pieces with an element of drama, as opposed to Dramatic Programmatic works such as The Seasons or Turbulent Landscapes which are based on an existing work such as pictures. The style is not necessarily disruptive (as in the Concerto for Orchestra) but brings an element of drama to the concert performance. In Turbulent Landscapes (written in 2003 for the Boston Symphony Orchestra) the players stand up in the places to play. Thea comments that when orchestral players stand to play they play differently, and the results are undoubtedly dramatic. The Dramatic Abstract concept was one Thea would use in other works, so that in the Horn Concerto (which was written in 1971 for the horn player Barry Tuckwell who was, in fact, a friend) the soloist incites the horn section which goes out into the hall and plays from there directed by the soloist; Thea comments that this works well with instruments like horns which sound well from the back of the hall. Thea places these works within the wider context of her music, as she hears music as a dialogue between instruments whether dramatic (as in the Dramatic Abstract and Dramatic Programmatic works) or intimate. Thea studied for four years in Paris with Nadia Boulanger, a pedagogue known for the wide range of her pupils. Boulanger's historical reputation is of her being uncompromising and forceful, but Thea did not find her fearsome, she loved her. Thea found her very intelligent and she was very detailed in her approach to pupils' work, taking great care. She was very helpful to Thea, finding things that Thea had not thought of in her music. Thea also studied with Aaron Copland, Lukas Foss and Milton Babbitt; she points out that she spent just a summer working with Copland at Tanglewood and had three or four lessons with him. 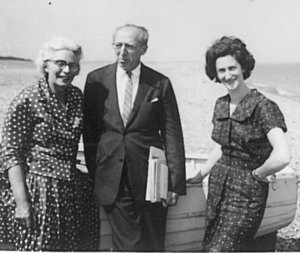 Also a Nadia Boulanger pupil, Copland was a very nice man and very practical and after the summer the two kept in touch. Following her studies, Thea was based in London. From this period she had no memories of being a woman in classical music being an issue, in fact many of her friends were women composers, Elizabeth Maconchy and Elizabeth Lutyens (women of her mother's generation), and Nicola Lefanu not to mention Nadia Boulanger and her sister Lili (a composer who died in 1918). She describes herself as being part of a gang, with Richard Rodney Bennett, Susan Bradshaw and Hugh Macdonald, going to concerts regularly. And the subject of women in classical music was never discussed. However this rather changed when she moved to America with her husband Peter Mark in the 1970s, then her gender did rather come in for comment. Though Thea studied music in Edinburgh, she only started conducting her music in the 1960s whilst she was living in London. Having been asked to conduct one of her pieces she took lessons with Jacques Louis Monod who was very detailed in his approach. Thea likes her works to be practical. So she finds it helpful to conduct her own work so that when they are new she is able to develop contact with the players and take advice from them. Though she has lived in the USA since 1972, Thea feels that her Scottish background is still a strong influence. What we experience as children forms the basis for the rest of our lives. And she points out that Scottish have always known for being explorers, bringing something of Scotland to wherever they are. Thea continues to write music with pen, pencil and paper, adding that she doesn't do Sibelius as she is 'too old', but she encourages her students to learn. She sends the finished manuscript to her publishers and this goes to someone who inputs the music into a computer system, and she then gets a PDF back to check. The same man works on all her pieces and she describes him as having an eagle eye, and he knows her quirks so that she finds the process wonderful. When I ask about influences she comments that there are so many, from the older generation of composers she names Stravinsky, Bartok, Berio, Dallapiccola and Britten, and to some extent Berg and Webern. But she points out that however big the influence, you cannot just copy the music you have to digest it and make it your own, see how it applies to you. It is important that a composer finds their own voice. Regarding heroes she names Donald Tovey (1875-1940) who had been Reid Professor of Music at Edinburgh University. Thea never met Tovey (he died just before she went to Edinburgh) but whilst she was at Edinburgh she studied with Mary Grierson who had been Tovey's assistant. She read everything he wrote, and from Tovey, she learned the importance of long-term harmonic planning, the basic dramatic/harmonic journey that you make over the whole piece. Within this structure, the details going from moment to moment are important too, but for Thea, it is the overall structure which is primary. When we talk, the celebratory concert by the New York Virtuoso Singers, conductor Harold Rosenbaum, is the following day (27 May 2018). The music at the concert included the US premiere of her 2014 The Voices of Our Ancestors (which was premiered by JAM in London in 2015). Oboist Nicholas Daniel came specially to play Dawn which Thea wrote for him in 2012 and Whirlwind a brand new piece which she describes as a challenge for him. The programme also included her 1977 choral piece Rorate Coeli (a terrific piece that I have sung in a couple of times), as well as selections from Thea's operas. 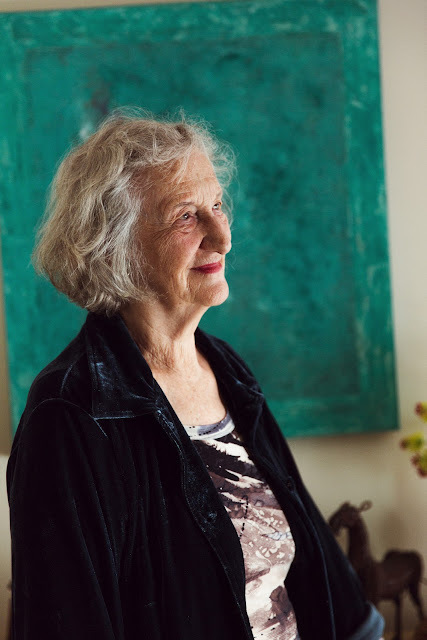 For a full list of the events taking place as part of Thea Musgrave's 90th birthday celebrations, see the performance page of her website.